Conservationists want dramatic improvement in Australia’s species management systems. The environment and energy department says less than 40 per cent of Australia’s threatened species have recovery plans in place. Documents are either unfinished or undeveloped for close to 10 per cent of listed threatened species that need plans to manage their protection. At a recent a Senate estimates hearing, the department also confirmed it does not audit projects designed to protect threatened species. “Of threatened species in general – no,” the department’s first assistant secretary Kylie Jonasson told the hearing. 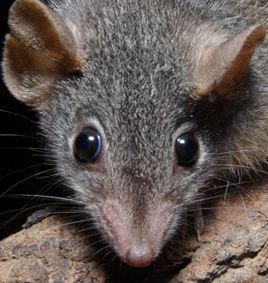 The Coalition has often singled out threatened species as a key policy issue at past elections. Conservationists want Australia’s national environment laws – the Environment Protection and Biodiversity Conservation (EPBC) act – to be overhauled. They want increased transparency and accountability of species management. “Nobody seems to have ultimate responsibility for protecting them,” the Wilderness Society national director Lyndon Schneiders said. A recovery plan describes a species’ population and distribution, threats to its survival and outlines actions to avoid extinction. Under the current specie protection system, the environment and energy minister can determine whether a threatened animal, plant or ecological community should have a recovery plan. For species without a recovery plan, there is no obligation on Australian governments. “Many recovery plans are just fantasy documents because they’re not implemented,” says Professor Lesley Hughes from the department of biological sciences at Macquarie University. The Australian Conservation Foundation says every recovery plan in Australia could be implemented for a cost of about $200 million.